Rossignol, the brand synonymous with skiing excellence and product quality brought us the Heroes, the Soul 7s and now the Unique 6 Saphires. 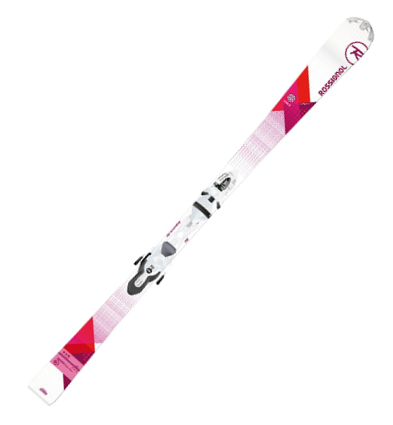 This unique women’s ski is one, we believe, is best in class. The Saphires offer stability and easy carving for front-side intermediate and advanced skiers. An oversized side cut, the Rossis being nearly twice as wide at the tip than under the boot, ensures that turn initiation will pose no problems. Our reviewers found that when practicing short turns, with a tight radius, they were incredibly quick and able to utilize the skier’s power – they could even keep up with our in-house racer. But, don’t think they’re no fun just because they are demons when carving. An Air Core, constructed with low weight materials such as Paulownia Wood, gives the Saphires a playfulness that could out-perform most powder skis. This Air Core, as Rossignol has coined it, also reduces the potential of fatigue because minimal physical effort is required to utilise the skis fully. Don’t worry about vibrations ruining your ride, a VAS Linen dampening technique absorbs the vast majority of ski vibration in crud and early morning hard pack, despite a 20% reduction in weight due to an amalgam of Rossignol ski technologies. The Unique 6 has tip rocker, Power Turn Rocker, however, this model is not designed for powder skiing. Saying this, the Unique 6 outperformed our expectation thanks to the profile. We also found that turns were smooth to start. 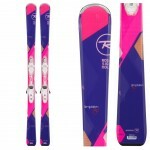 The Rossignol Unique 6 Saphire is what we believe to the best ski for women in 2015/2016.